A few photos from last weekend, on 2 wheels with the family in our new local woods. Cold and clear, some familiar ground and some brand new, low impact bikepacking with a trailer for the little'uns, and all about the destination not the getting there (for the kids, anyway). In some ways, the perfect trip. I've been away a fair bit, and at my desk far too much, so this was time well spent and well overdue. "And into the forest I go" writes Muir, "to lose my mind and find my soul." 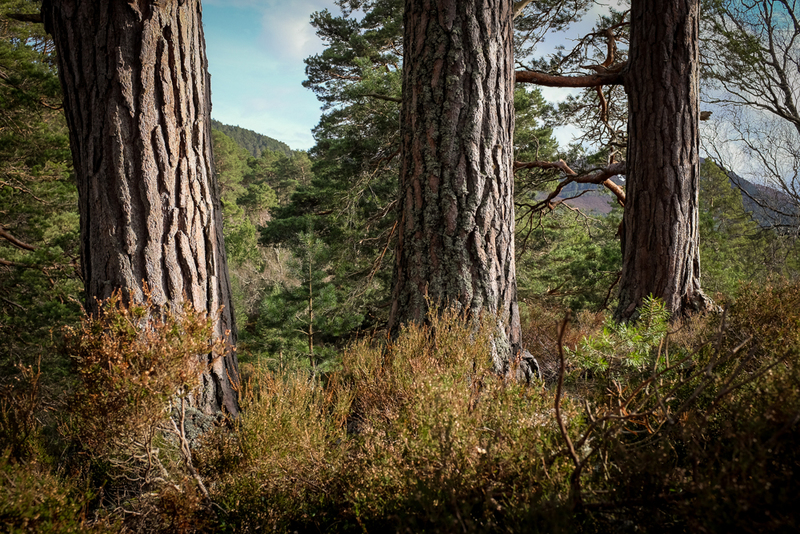 Forests are fertile places for a childlike imagination, whatever age you are, and the Inshriach and Rothiemurcus pinewoods are a magical place to spend time and regenerate... although I'm disappointed to read human meddling is on the horizon here too. The predictability of our arrogance is now the only thing that surprises. The photos were taken on a fixed lens compact camera set to auto. I'll keep it clean here - it's a family post after all - and spare the gratuitous bike shots for another time.